When you are shopping for your pups this holiday season, don't forget to buy extra toys and supplies to donate to local shelters. 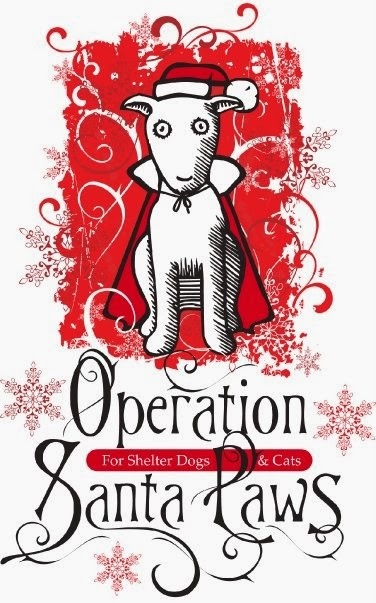 Justin Rudd of Haute Dogs Organization (pronounced "hot") of Long Beach, California, has been hosting "Operation Santa Paws" every year since 2001 for shelter dogs and cats. Please join me in helping Justin spread comfort and joy to dogs and cats in need! Santa's pup-elves need your donations by Friday, Dec. 20th at noon. Below are some of the items on the "Operation Santa Paws" Wish List ... see and download the full list here for both dogs and cats. For drop-off locations in Los Angeles and across the country, click here. Cheers to Justin and his team for your amazing effort! Happy Dog Lovin' & Dog Givin'!